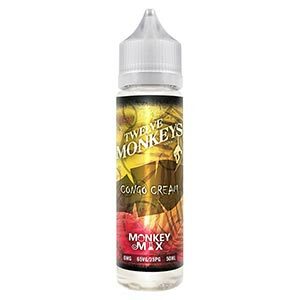 Congo Cream brings us the taste of handpicked fresh strawberries enveloped in two very different vanilla flavours gives a mouth experience that can only be described as tantalisingly toothsome! Those Monkeys are so suave The Rain forest reserves of the Congo is known for its abundance of gorillas. What's less known is how uber-sophisticated these gorillas are when no human is around. Their vape of choice? Why, it's Congo Cream of course.